E-Mini.com was developed exclusively for online futures trading. We focus on E-Mini S&P, E-Mini Nasdaq and single stock futures online trading. Based on our many years of experience in the "traditional" futures trading arena, and more specifically based on years of assisting day traders, we came to the conclusion that each trader has different needs. Our brokers have compiled extensive research to find the top trading platforms for electronic futures trading. DirectForex, LLC is located in downtown Chicago, at the Chicago Board of Trade. Our staff is full of caring, knowledgeable professionals with many years in the Forex industry. 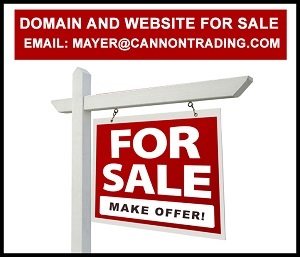 We are able to accomodate traders of all sizes, and offer personal service. At Direct Forex, we have an UNCOMMON respect for other people's money. Direct Forex is regulated by the CFTC and is a member of the NFA. Provides the best rate on exchange and wire transfer services. GCI Direct is a leading online currency broker dedicated to providing the fastest, most efficient currency trading - directly with the interbank foreign exchange ("forex") market. The CNN Financial Network has a powerful currency converter that allows you to select from among dozens of currencies. Input the two currencies of your choice, and the amount you wish to convert, and they will tell you the value in the new currency. Efix Foreign Exchange Ltd. was founded in 1996 and is managed by people with a rich vein of experience in foreign currency trading at the leading banks in Israel and on the Israeli capital market. FX EUROCLUB was founded in 1999 by High Street Networking jointly with SOFT Corporation with the only objective - to provide for all professional needs of FX Traders and FX Dealers all over the globe in one place � internet-based trading system DealingDesk-2000TM. Bloomberg Online features key-cross currency rate table for the ten major world currencies. Their updated chart allows you to quickly find the rate of exchange between any two of these currencies. The company provides best market opportunities in forex signals and Forex Trading, forex training and forex chart toward real strategic investment solutions. Forex for professionals exclusively. FXSpecialists.com is a professional Introductory Service for sophisticated and informed high net worth investors and corporations seeking high-yield returns on their investments. For this, we turn to the world of Foreign Currency Trading for profit, where professional trading firms can achieve consistent and extraordinary returns for their clients. Here, returns of 4 - 8% per month are not uncommon! Online trading, discount futures, options, forex, free quotes & research, CFD's, managed, full service or excecution only, part of Man Group. GAIN Capital is an online Foreign Exchange market maker, offering institutional and private investors access to 24 hour, commission-free Forex dealing, with a 5 pip or less spread and real-time execution from live two-way quotes. A foreign currency directory of interbank brokers and dealers, online trading houses, real time charts and quotes, news, research, forecasts, cross rates, cross charts, etc. The site is designed for Fx professionals, corporates, institutions, and the novice. Welcome to e-Forex - the leading international quarterly magazine devoted to electronic and online trading of FX and OTC financial instruments. e-Forex is targeted at both sell-side and buy-side. The first, truly equitable, real-time currency trading network. Now you can use their FREE software to trade and/or make markets via the Internet! Forex News Provides Foreign Exchange Analysis, Currency News Updates, FX Forums, Currency Forecasts, Forex Charts and Currency Converters. 21st Century trading platform, 24-hour online currency trading, 100:1 and/or 10:1 leverages, fully segregated accounts, 4 pips spread, trading and education on 6 languages, online trading courses, professional market prediction service, wireless price feed. FX Concepts is one of the world's leading private managers of foreign exchange risk, with headquarters in New York City. For over 15 years FX Concepts has managed currency risk for some of the world�s leading investors through both currency overlay strategies and absolute return programs. Global Forex offers online currency trading at inter-bank FOREX rates. Try our FREE online demo trading system. The first foreign exchange, real-time, portfolio and risk management application on the Internet. Global-View is the hub for forew and other global markets traders on the Web. Its widely recognized Forex Forum is the place where traders seek explanations for the price action in forex markets. Currency and Forex portfolio manager. Systematic statistically driven short term currency trading strategy. Manager foreign exchange portfolios for banks, insitutions, investment funds and high net worth individuals. Strict risk management. Ranked #1 for 1998 and #3 for past 5 years. The Foreign Exchange Division of PFG has recently been added to the Best Direct online trading platform. Best Direct offers our full line of Forex products, as well as a full line of futures contracts. With one account, you can trade both Forex and futures and access your account from anywhere, with real-time quotes and account information. NIF provides state of the forecasts on forex and indexes worldwide; 2 week free trial; 50-200% annually! 24 hour Forex Trading. Free quotes, charts and news. An introduction to Foreign Currency Trading and Investing and how to select a reputable government regulated Forex Trading firm who offers Managed Trading Accounts for their clients. FX advantage offers online currency trading and everything you need in one easy to use platform including free news, charting, commentary, calendar and real-time reporting. Trading is commission-free and available 24 hours. Learn about the related risks of forex investing. AlaronFX offers 24-hours commission free Forex Trading at interbank spreads, real-time quotes, news, research, charts, online spotfx, fx-options, cash metals and EFPs. Free online Forex Trading system and free one-on-one training for new accounts. 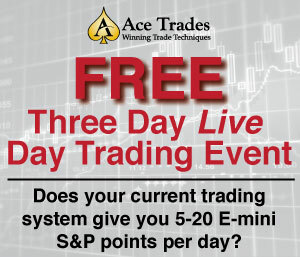 Use our system to learn day trading free for 30 days. Currency day trading requires a lot less money than trading stocks. Get Your Life Back. Investing in futures doesn't have to become a second job. If you want to invest like a professional and are tired of watching quote screens all day and waiting for: "Alerts, Instant Messages, E-Mails, Special Updates, Conference Calls, Faxes, Hotlines, Reversals, or Tips" from your trading advisor, then you have found the right partner in Market Precap. Alert FX enables foreign exchange traders to receive forex alerts for the Euro, Yen, Pound, Swiss Franc all paired up against the Dollar via cellular phones, pagers, palm pilots and e-mails. Federal Reserve Bank of New York offers information on foreign exchange along with news updates, banking information and helpful hints when trying to find a savings bond. Interforex is a Global online broker that offers clients the ability to engage in real-time trading CFDs, Shares, Stocks Indices, Forex, Futures and Commodities.